Lay your tape measure so that it rests on your steps and measure the distance from the top step to the floor at the bottom. Now move your tape measure from the floor to the front of the bottom step. 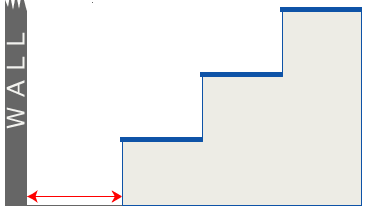 Next measure the width of the bottom step. 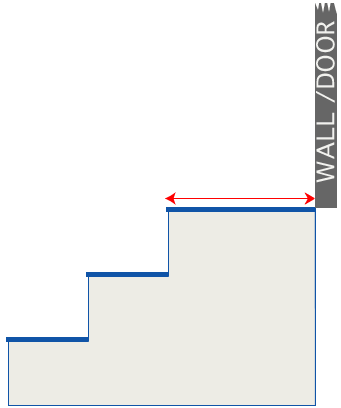 Now measure from the bottom step to the wall. Take your tape measure and measure from the bottom step to the top of the next step above. Still on the bottom step, measure from the back to the front. Now measure from the front of the bottom step to the front of the step above to get the diagonal distance between the two steps. Determine the clearance of the top landing. 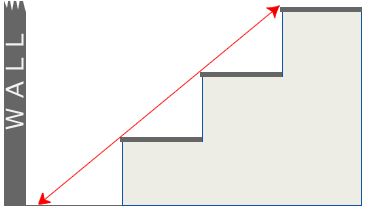 Measure from the top stair to the nearest wall, obstruction or door. Stand at the bottom of the steps and look to the top. 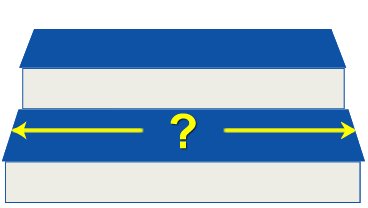 Is your stair lift going to be on the left or right?